Now that I’m blogging I feel like I’ve joined a cult. There’s this whole world out there I didn’t know anything about but I now find myself part of. They have their own language and I’m somewhat intimidated. Some of them I read on a regular basis so I signed up to get an email each time they post. Some of them I’m drawn to for the crafts they make, the decorating they manage to do on a budget, or simply because when they write and I read, I see the world differently. Often I first read a person’s blog because of the title and so it was with Life with my 3 Boybarians. Aha, a blog I know I can relate to even if my own 3 boybarians are grown! In her blog Darcy shares boy stories but she also started a photo challenge at the beginning of the year, another reason I was drawn back to her blog and became a subscriber. Each week she puts a topic out there and those who participate add a permalink of their photo, from either their blog or from their Flickr account, back to her blog. Last week I put my feet into the water and learned how to use a permalink for the first time. Felt like I had run a race! I’ve joined her photo challenge and will post my image each week and link it back. First up is “cabin fever”. 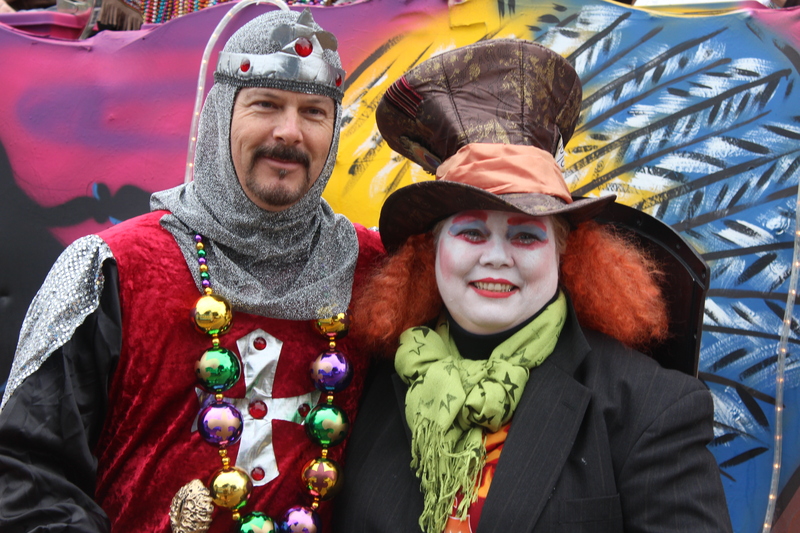 We don’t have much of that down here in Louisiana but if we did we already have the perfect antidote….Mardi Gras! In the middle of a gray winter it’s the perfect excuse to put on a little bling (or a lot!) and get out there to celebrate all that is joyful in life. Let the good times roll! Can I help it if we don’t have winter?! Beautiful, as always. I love your ability to mix your visuals and text so seamlessly into a lovely meditation. Thanks for sharing! Wonderful photos. Looks like mardi gras is loads of fun.